"Chicken livers coated with butter and Ritz™ crackers ...simple and snazzy!" Place crushed cracker crumbs and seasonings of your choice in a shallow bowl or plate. Pour melted butter into another shallow bowl or plate. 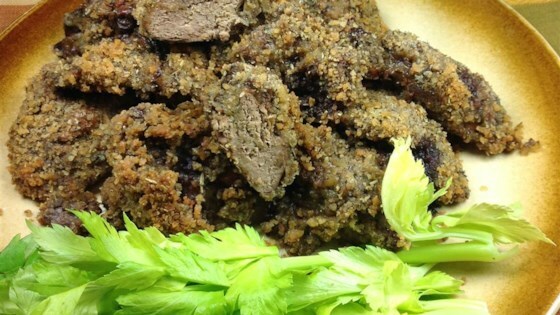 Roll chicken livers in butter or margarine, then in crumbs. Place coated chicken in a lightly greased 9x13 inch baking dish. Bake in the preheated oven for 40 to 45 minutes.